I was delighted to discover Letterfrom Archives New series 'This Just In'. Sign up to thier excellent e-newsletter. To receive occasional updates on upcoming events, workshops, exhibitions, and receive High Res Images of the latest editions to the archives. The first installment profiles the work of Seattle sign painter and showcard writer Ross F. George. George was the inventor of the Speedball pen and author of the first 17 editions of the Speedball textbook. 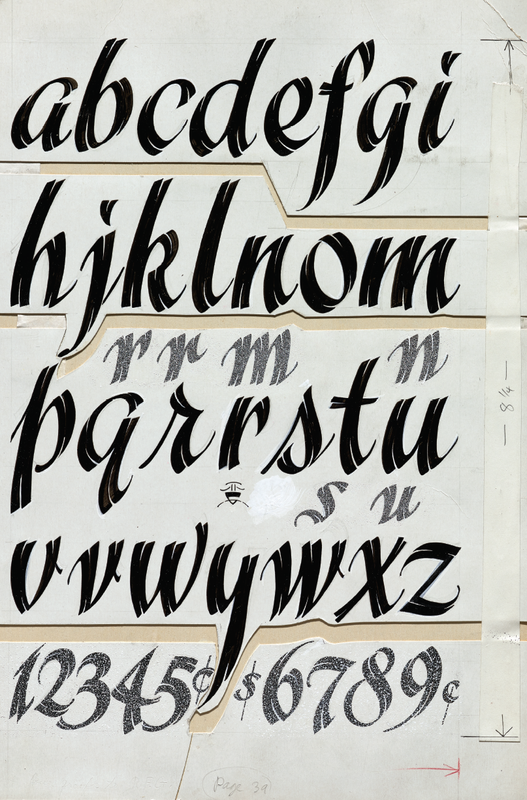 His family recently donated an archive of his work, containing drawings for original alphabets published in the Speedball textbooks, his pens (including some early prototypes), showcards and other examples of his lettering and drawing, account books, papers, and photos. George’s Speedball textbooks and pens have aided countless calligraphers and lettering artists over the last 100 years. Letterform Archive will now get to share his history, art, and process with many more.